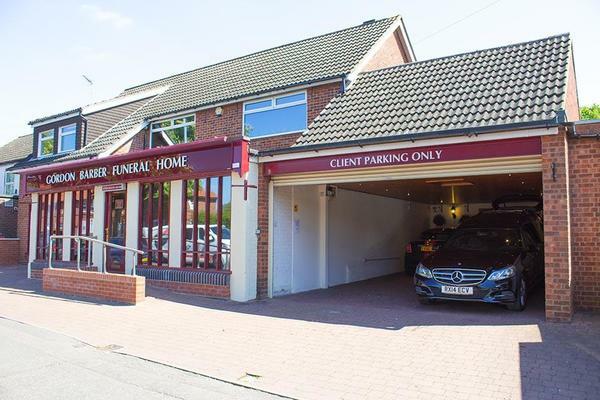 Welcome to Gordon Barber Funeral Directors on Aylsham Road in Norwich, the city’s first funeral home. Established in 1960’s, we will use the knowledge that we have built up over the years to help you arrange the funeral service you want for your loved one. Gordon Barber, our founder, had always been fascinated by the funeral director profession, even as a little boy. He wanted to provide a service delivered with care, compassion and sensitivity to the people of Norwich and the surrounding areas. Gordon and his wife Elsie, gave up their family home to purchase Castles greengrocers, which they then converted into a funeral directors. Today, the third generation of the Barber family is still involved in helping families during their time need, helping us toprovide you with the highest standards of funeral care in the city. We understand that losing someone you love is never easy, which is why we are here to give you all of the support you need, and help arrange a personal farewell for your loved one. We want the service to be exactly as you imagine, and we will work tirelessly to make sure everything is just right for you. Our funeral home is inbetween St Catherine’s Church and Mile Cross Methodist Church. Our location makes us easily accessible from Upper Hellesdon, New Sprowston, Caton and Hellesdon. We also have funeral directors in Hoveton, Eaton, Dereham, Thorpe St Andrew and Lowestoft. If you need to speak to us, or if you require any advice or guidance when arranging a funeral, call us at any time, day or night, we promise to be there for you. Call us today on 01603 484308 to talk through your personal requirements. There is ample parking in front of our funeral home and in the garage. We are across the junction from St Catherine’s Church, Mile Cross. Our staff are available 24 hours a day on 01603 484308 if you require our services outside of these hours. The whole family were so very grateful for the very professional help and advice we received, combined with such kindness, compassion and sensitivity towards us every step of the way at such a difficult time. They ensured that everything went exactly as planned - something that was also so appreciated by everyone who attended the service. Thank you. The Gordon Barber team demonstrated a wonderful understanding and caring approach to a very sad situation. From the very first phone call to when my fathers service had finished they made you feel your situation was completely individual. The office team were efficient and punctual with the paperwork and service detail and the team on the day were caring, understanding and incredibly supportive. A huge credit to Gordon Barber Funeral Directors. Thank you. Always polite,helpful and considerate. Louise was so kind and lovely. Thank you all so much. It was an excellent service from start to finish. The staff were so sensitive & caring & the service they provided was excellent. At such a sad & difficult time they handled the arrangements very professionally but with a concerned attitude. I would thoroughly recommend these funeral directors. Thank you for the kind comments posted on your online review. I am pleased that all of the arrangements were carried out to your satisfaction and that our team were able to help make things easier for you at such a difficult time. This is the second time I have used Gordon Barber Funeral Directors in a year. On both occasions the support, guidance and care they provided was outstanding. Nothing was too much trouble and they guided me through every step of the funeral process. The level of respect and kindness they provided whilst remaining totally professional was second to none. They made a most difficult time more bearable and took the pressure away from me. I felt totally reassured and confident that everything would be dealt with as my father had requested in an efficient manner. I would wholeheartedly recommend Gordon Barber to anyone needing their services. I am very grateful and can't thank them enough. I chose Gordon Barber because they handled my husbands funeral in 2005 and I was very happy with how everything was handled. When my son died in January, I had no hesitation in asking them to do the same. making a terrible time more bearable . 5 star and would love to give more. Very efficient from the first phone call right the way through and even after the funeral. I and the family cannot speak highly enough of the our main contact who helped us all at this diificult time. After loosing Mum only 5 months previous there was only one person who we all wanted to look after the arrangements for Dad as he felt like one of the family and we could confide in him. You are so lucky to be able to have this person working for you and is a credit to your business. Thank you for sharing your experience with us on your online review. I am pleased that we were able to look after you and your family and that we provided the highest level of care and guidance at this difficult time. The help they provided was invaluable. It helped me immensely in dealing with a death of a relative. They were professional and very easy to deal with. They took the responsibility of dealing with a member of my family in a professional and sensitive manner, whilst I dealt with his affairs. I would recommend them without question for the service they provided my late relative and those that remain behind. Thank you for the kind comments posted on your online review. I am pleased that we provided the highest level of care and guidance to you and your family and that we were able to provide you with the care and support needed at this difficult time. I was very pleased with both the funeral arrangements and the actual service my brother received.